Genea-Musings: Amanuensis Monday - 1741 Account for Estate of Josiah Wood (1687-1753) of Woburn, Mass. 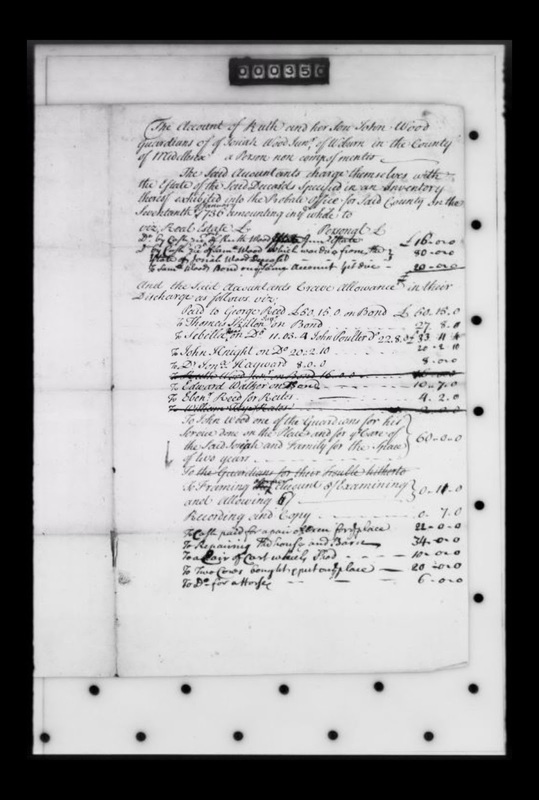 Amanuensis Monday - 1741 Account for Estate of Josiah Wood (1687-1753) of Woburn, Mass. of Midellsex a Person non compos mentis. Amanuensis Monday - 1736 Non Compos Mentis Petition for Josiah Wood (1687-1753) of Woburn, Mass.) the Middlesex County Probate Court to have Josiah Wood declared "non compos mentis," meaning not sane, or not in their right mind. At the time, Josiah and Ruth had eight living children, all but one of them (John) were minors. * Ruth Wood and John Wood, as Guardians, committed to well and truly do their duty as guardians, and, with two friends, post bond of 1,000 pounds each. 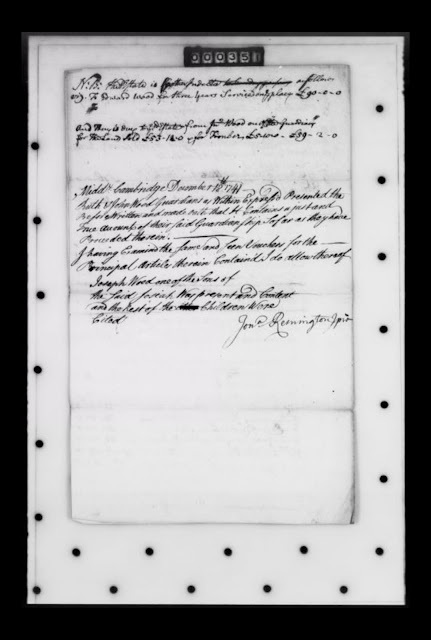 See Amanuensis Monday - 1736 Bonds for Estate of Josiah Wood (1687-1753) of Woburn, Mass. * The guardians took an inventory of the estate (over £1,430) and the debts owed (over £220). See Amanuensis Monday - 1736 Inventory and Debt List for Estate of Josiah Wood (1687-1753) of Woburn, Mass. In the documents in this post, the guardians of Josiah Wood Junior wrote down their account of the estate and the court approved it. Josiah and Ruth (Walker) Wood are my 7th great-grandparents, the parents of Susanna Wood (1724-1780), who married Nathan Reed (1719-1802) in 1743 in Woburn, Massachusetts.